Heinrichs DVH-E Multivariable Vortex Flowmeter for Energy Consumption Measurement with Temperature Sensor. Stainless Steel. �0.7% Accuracy. 1450 PSIA Maximum Pressure. ANSI Flange connection. 4-20mA Output with HART Protocol. ATEX and IECEx Approved. The Heinrichs DVH Series Vortex Flowmeter utilizes three primary sensing elements: a vortex shedding velocity sensor, a RTD temperature sensor and a solid-state pressure transducer to measure the mass flow rate of gases, liquids and steam. Systems that use external process measurements may not provide adequate compensation for the fact that process conditions can change radically between the point of velocity measurement and the point where upstream or downstream pressure and temperature measurements are being made. Because the DVH multi-variable flow meter measures all of these parameters in a single location, it delivers a more accurate process measurement. Integrating multi-variable output capability with a single line penetration also simplifies system complexity and helps reduce initial equipment cost, installation cost and maintenance costs. The measuring principle is based on the Karmann vortex theory. A specially shaped, bluff body is located directly in the flow path. With specific flow velocities, vortices are generated by the bluff body. These small vortices generate small pressure differences, which are sensed via a piezoelectric sensor located directly behind the bluff body. The number of vortices detected by the sensor are directly proportional to the flow velocity. The DVH-V delivers a direct reading of volumetric flow rate, and is generally the most cost effective solution for liquid flow monitoring in water and water-based solutions. The DVH-T integrates a precision, 1000Ω platinum RTD temperature sensor that can be used to calculate and output a compensated mass reading. 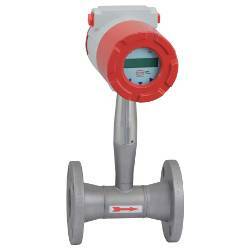 It is typically used to measure flow rates of saturated steam. 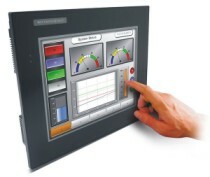 The DVH-P offers flow computer functionality in a compact fi eld device. This multi-variable instrument incorporates temperature and pressure sensors to provide an instantaneous reading of compensated mass flow rate of gases, liquids and steam. In addition to outputs for totalized mass and alarm settings, the fi eld-confi gurable electronics deliver up to three analog (4 - 20 mA) outputs of fi ve process measurements, including volumetric flow rate, mass flow rate, pressure and density. The DVH-E energy monitoring option permits real-time calculation of energy consumption for a facility or process. The meter can be programmed to measure steam, hot water or chilled water. It monitors one side of the process, either sent or return, and uses the input from a second separate temperature sensor on the opposite side of the process to calculate the change in energy. (It is not approved for custody transfer applications.) Selectable energy units include: BTU, joules, calories, watt-hours, megawatt-hours and horsepower- hours. The local or remote electronics indicate: temperature, delta T, mass total and energy total. Model DVH-P, DC Option: 12 - 36 V DC , 100 mA Max. Buttons: Six Buttons for Full Field Confi guration The Pushbuttons can be Operated with the Magnetic Wand without Removal of the Enclosure Covers. > ENERGY CONSUMPTION + TEMPERATURE > EXPLOSION PROOF ATEX : 8 Items found. KOBOLD BGN-S Full Metal Variable Area Flowmeter and Counter for Liquids and Gases. Up to 600 bar. Nominal diameter up to DN 150. 1.6 Accuracy class. IP65 or IP67. Stainless Steel measuring tube. ATEX Explosion protection. KOBOLD BGF Full Metal Variable Area Flow Meter and Counter for flow measurement of liquid or gaseous products in pipes. Horizontal and vertical mounting. 10-100 to 4000-10000 l/h water measuring ranges and 0.3-3.0 to 110 11000 m3/h air measuring ranges. Optional Stainless Steel material and analogue output with HART. IP65 or IP67. ATEX Certified. 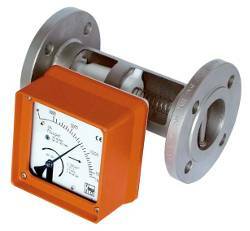 KOBOLD BGN-P Full Metal Variable Area Flowmeter and Counter for Liquids and Gases. Up to 600 bar. Nominal diameter up to DN 150. 1.6 Accuracy class. IP65 or IP67. Stainless Steel measuring tube, PTFE-casing. ATEX Explosion protection. Heinrichs DVH-V Multivariable Vortex Flowmeter to measure Volume of liquids, gas or steam. Stainless Steel. �0.7% Accuracy. 1450 PSIA Maximum Pressure. ANSI Flange connection. 4-20mA Output with HART Protocol. ATEX and IECEx Approved. Heinrichs DVH-T Multivariable Vortex Flowmeter to measure Flow Velocity with Temperature Sensor. Stainless Steel. �0.7% Accuracy. 1450 PSIA Maximum Pressure. ANSI Flange connection. 4-20mA Output with HART Protocol. ATEX and IECEx Approved. Heinrichs DVH-P Multivariable Vortex Flowmeter to measure Flow Velocity with Temperature and Pressure Sensor. Stainless Steel. �0.7% Accuracy. 1450 PSIA Maximum Pressure. ANSI Flange connection. 4-20mA Output with HART Protocol. ATEX and IECEx Approved. 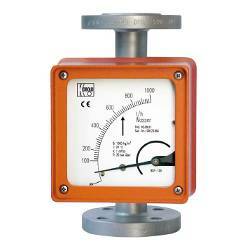 KOBOLD BGN-H Full Metal Variable Area Flowmeter and Counter for Liquids and Gases. Up to 600 bar. Nominal diameter up to DN 150. 1.6 Accuracy class. IP65 or IP67. Hastellow measuring tube. ATEX Explosion protection.